I was recently asked to read the book My MacArthur and provide a review as part of the WOW women on Writing tour. I usually do not write about history or politics but this book struck my interest. So here is my review. I read the book in one sitting. It was a beautiful but to me sad love story. Part of me wanted to not like the main character but based on the times and circumstances I had no choice but to understand the decisions that were made. I felt as though the author did research on the time period and included facts that went along with the time. She also used some language that would have been used in that area which made the book come more alive and be more realistic. One thing I liked was that the author focused on the emotions that were felt. It was a romance but did not go into the physical intimacies like so many romances do. The book focused on what each person felt and how they responded. It is based on truth and there was enough detail that I went and looked up the main characters because the book left me wanting to find out what happened to them next. All in all I would say while not my particular cup of tea I am happy to have read it and would recommend it to others. You could tell alot of research, time, and effort went into getting the facts as accurate as possible. Cindy Fazzi is a Filipino-American writer and former Associated Press reporter. She has worked as a journalist in the Philippines, Taiwan, and the United States. My MacArthur, published by Sand Hill Review Press, is her literary debut. She writes romance novels under the pen name Vina Arno. Her first romance book, In His Corner, was published by Lyrical Press in 2015. Cindy’s second romance novel, Finder Keeper of My Heart, was published by Painted Hearts Publishing in 2018. Her short stories have been published in Snake Nation Review, Copperfield Review, and SN Review. Hi Ashley! 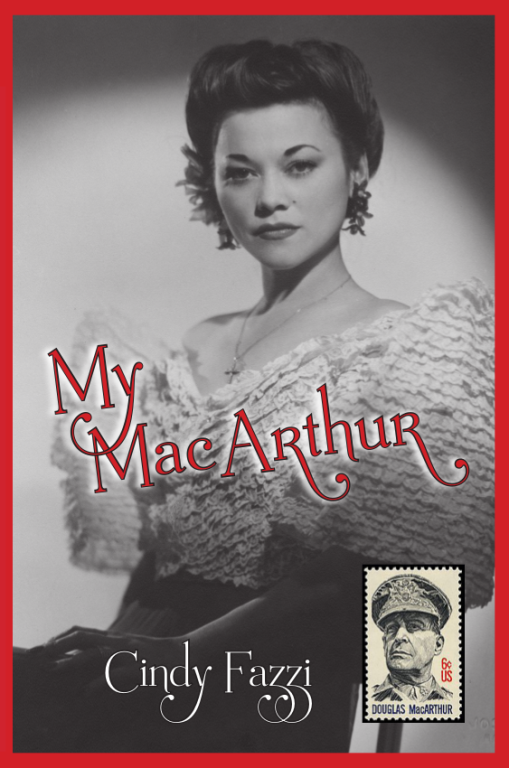 I’m thrilled you read MY MACARTHUR in one sitting! Thanks for giving it a chance. I’m enjoying your blog, with its many different topics. Will try your recipe for lemon basil strawberry mimosa(: More power to you! An excellent review for a genre you ordinarily don’t read. Great review! It sounds like an interesting read and I hadn’t heard of it before your review. Great review. Sometimes we find a real treat when we step out of our comfort zones. Great review, I love the sound of the book and that cover is just beautiful.